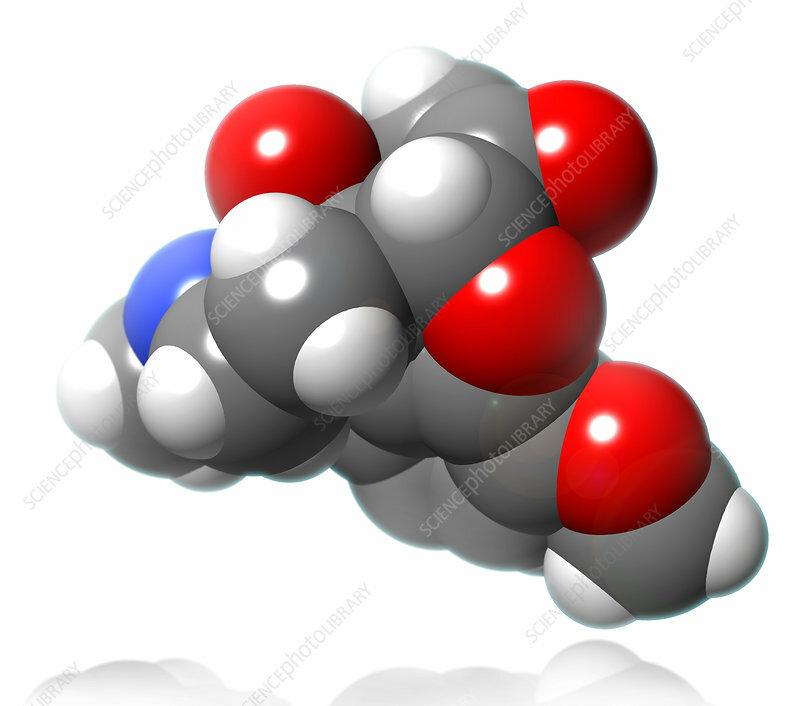 A molecular model of oxycodone, a narcotic analgesic used to relieve moderate, severe or chronic pain. Patients may experience common side effects such as fatigue, dizziness, nausea or anxiety. In cases of long term use, patients may become physically dependent or addicted to oxycodone, with withdrawal symptoms similar to other opiate-based painkillers. Atoms are coloured dark gray (carbon), light gray (hydrogen), red (oxygen) and blue (nitrogen).